Thanksgiving would be just another TV dinner without someone willing to wake up at 4 a.m. to put the bird in the oven, prep the potatoes, and bake the pie. Just like Mom, Greenlight in Wilson, North Carolina, has gone above and beyond for the community. In addition to providing an important economic development tool and creating an innovative program for folks who might struggle a little with Internet access bills, Wilson connected their neighbor Pinetops. 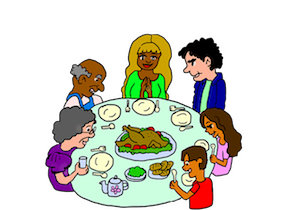 In much the same vein, we know that if the next door neighbor was alone on Thanksgiving, Mom would invite them over for turkey and pumpkin pie. He’s that uncle you don’t want to get stuck next to at the dinner table. Uncle Comcast will spend the entire time talking up his newest business venture while he ignores your aunt’s repeated request to pass the mashed potatoes. When you finally get a chance to talk he suddenly has to leave the table to take a call from one of his many lawyers. You’re a little worried he’s working on scheme to swindle grandma out of house and home in order to monopolize the inheritance.